House and Senate Democrats today unveiled the Save the Internet Act, which would rescind the FCC’s 2017 restoring Internet freedom (RIF) order and reinstate the agency’s 2015 open Internet order. While the legislation is expected to pass in the Democratic-controlled House and may pass in the Republican-run Senate, it’s unlikely to clear both chambers by veto-proof margins. The FCC’s 2017 RIF order classified broadband Internet access service (BIAS) as a Title I information service and specified that BIAS is an interstate services. It also preempted state actions that conflict with the federal regime for Internet service providers. 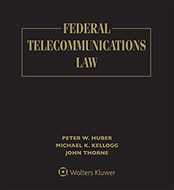 The 2015 open Internet order classified BIAS as a Title II telecommunications service and mobile broadband as a commercial mobile radio service. The legislation unveiled today would restore the rules adopted by the 2015 order against blocking, throttling, and paid prioritization and the FCC’s general conduct standard. Last year, the Senate passed a Congressional Review Act resolution (S J Res. 52) introduced by Sen. Ed Markey (D., Mass.) disapproving of the FCC’s 2017 RIF action with Republican Sens. Susan Collins (Maine), John Kennedy (La. ), and Lisa Murkowski (Alaska) joining Democrats in support of the resolution (TR Daily, May 16, 2018). Rep. Mike Doyle (D., Pa.) proposed a CRA resolution on the RIF order last year, but it never received a floor vote in the then Republican-controlled House. However, Senate Democrats would not be able to force a vote on the legislation introduced today as they were able to under the CRA procedures. The net neutrality bill introduced today is again sponsored by Sen. Markey. It has 46 Democratic co-sponsors. Rep. Doyle is introducing the House bill. It is expected to be introduced tomorrow or Friday, according to an aide to the congressman who said the number of co-sponsors wasn’t yet known. “The bill we’re introducing today would provide essential protections against abusive Internet Service Provider practices like throttling, blocking, and paid prioritization to prevent or reduce competition,” said Mr. Doyle, who chairs the House communications and technology subcommittee. She and other lawmakers called on their Republican colleagues to support the legislation, noting that it has drawn strong support in polls. “We want this to be as bipartisan as possible because we know it is so in the public view,” Speaker Pelosi said. Rep. Yvette Clarke (D., N.Y.), vice chair of the House Commerce Committee, noted that 182 Democrats signed a discharge petition in the House for last year’s bill. Not surprisingly, the legislation drew praise from Democratic FCC Commissioners and criticism from Republican Commissioners. Congressional Republicans also criticized it, while outside parties were mixed. Tina Pelkey, spokeswoman for FCC Chairman Ajit Pai, defended the 2017 RIF order. Republicans have already offered net neutrality legislation this year, including a bill from Mr. Walden that mirrors a legislative proposal he made in 2015 to codify some net neutrality protections and FCC enforcement authority, while withholding FCC authority to expand the rules and rejecting Title II regulations; a bill from Rep. Latta that is based on a draft proposal that then Commerce Committee Chairman Henry A. Waxman (D., Calif.) made in 2010 after consultations with stakeholders, which also would have restricted the FCC from adopting net neutrality rules beyond those codified in statute (TR Daily, Sept. 27, 2010); and a bill from Rep. McMorris Rodgers that would codify net neutrality rules adopted by the Democratic-controlled legislature in her home state. Parties outside government had mixed reviews on the legislation. Internet service providers that oppose it said that Congress should pass net neutrality legislation but not a measure that classifies broadband service as a Title II common carrier service. But industry groups that represent competitors and Internet companies endorsed the legislation, as did public interest and consumer groups. Melika Carroll, senior vice president-global government affairs for the Internet Association, said her group also supports the legislation unveiled today. Other public interest groups that support the bill include Demand Progress, the National Hispanic Media Coalition, Color of Change, the Center for Media Justice, and Fight for the Future. U.S. Telecom Association President and CEO Jonathan Spalter said that “USTelecom’s members – large and small – are committed to maintaining our open internet and delivering consumers and businesses the content and services they demand. Unfortunately, the Save the Internet Act takes our open and thriving internet backward – not forward – and would have negative implications for America’s competitiveness in the global digital economy. Our view: it is important that lawmakers – now on both sides of the aisle – continue working on legislation to make net neutrality the law of the land. It is time for Congress to finally provide the certainty that will eliminate the confounding regulatory ‘rinse-and-repeat cycle’ that is bad for consumers, investment, and innovation. “CTIA and our members support an Open Internet. We need permanent bipartisan rules to protect Americans online, while maintaining the opportunity for innovation that allowed the Internet to flourish. Today’s announcement unfortunately does not get us closer to a permanent solution to end the debate and protect consumers,” said CTIA President and CEO Meredith Attwell Baker. “We've long supported an open internet. Our customers expect it and we're committed to providing it,” said Verizon Communications, Inc.